Can I reserve stock before I purchase the products? Unfortunately we're unable to reserve stock for you until we've received payment. How can I see your prices? To see our prices, please click here to log in or create an account. It's free of charge to create an account and all of our prices and stock availabilty are clearly displayed. If it's your first order with us you're entitled to receive a 10% discount! Use code FIRST10 when prompted in the checkout. If I buy in bulk, can I receive a discount? Can you provide samples of products? Unfortunately because we buy and sell by the case, we're unable to provide samples of products. Are there any restrictions on what products I can return? We can accept returns on all products, excluding GSL medicines. We can only accept returns on these items if they are damaged or faulty. To view our full returns policy, please click here. Can I sell GSL Medicines? What are the restrictions with GSL Medicines? If you place your order before 12pm we'll be able to deliver your goods the next working day! No, we do not operate a minimum order value. Delivery is free for all orders over £150 (exc.VAT). For orders below this, there is a flat carriage charge of £6.60(exc. VAT). Do you ship to Jersey, Guernsey, Northern and the Republic of Ireland? Yes we do. For the Republic of Ireland we would need to quote delivery as the cost is based on the amount of parcels and overall weight of your consignment. Free delivery is available to those in Northern Ireland if spending more than £300 (exc. VAT) and Jersey and Guernsey if spending more than £500 (exc. VAT). 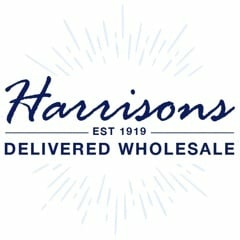 Do Harrisons deliver over the weekend? We can deliver on Saturdays, however there is an additional cost for this service. To receive Saturday delivery, simply choose this option when prompted in checkout. Please contact our customer service team within 3 days of delivery at sales@harrisonsdirect.co.uk or 01254 306840. Yes, we do deliver to the Channel Islands. However, we would need to quote delivery as the cost is based on the overall weight of your consignment. Do you export outside the UK? Yes, we can ship to anywhere throughout Europe. Costs vary depending on the destination and weight of your order, so to receive a shipping cost please contact us on 01254 306840. What method of payment can I use on the website? We accept payment by UK Registered Credit/Debit Cards, PayPal, BACS payment (Bank Transfer) or cheque. What is your credit account policy? You would need to place three orders with immediate payment. Once these have been processed successfully, you can apply for a credit account. My FIRST10 code is not working. I have a website error. We are open Monday to Thursday 8:45-5pm and Friday 8:45 to 3:45pm. We always endeavour to answer your query within 24 hours in a working week. Can't find the answer you're looking for? Don't worry, our friendly customer services team are available to answer any of your queries. Please call us on 01254 306840 to speak to a member of our team.